After defaulting payments to domestic lenders, Jet Airways has now delayed payments to foreign banks, including Citibank to the tune of $18 million, which the troubled airline had borrowed to purchase 10 Boeing 777 planes, said media reports. The move reportedly has put its own planes in trouble. 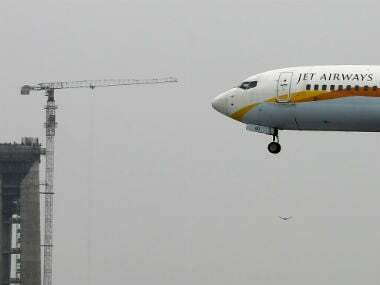 The debt-laden Jet Airways had missed the due date in end-March and reportedly approached the MNC banks to avert any stern action against the airline, said a report in The Economic Times. The report said that these banks had lent to Jet Airways after guarantees from the Export-Import (EXIM) Bank of the US which can be invoked in case of a default. 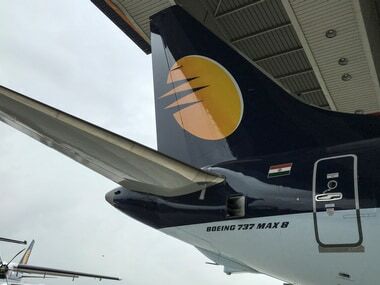 A guarantee invocation could sound the death knell for Jet Airways as the US institution would likely deregister and then repossess the planes. 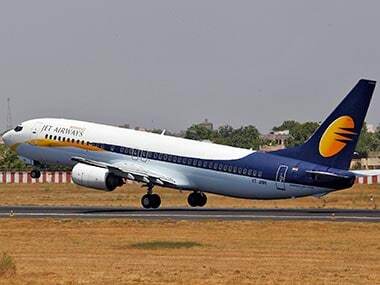 Meanwhile, uncertainty prevails over the emergency funding of Rs 1,500 crore that Jet Airways was to get from a lenders' consortium led by State Bank of India (SBI). The airline may not get the full amount and it may come down to Rs 200 crore in a best-case scenario as lenders led by SBI await Reserve Bank of India's (RBI) fresh norms for debt restructuring after the Supreme Court last week struck down the central bank’s controversial 12 February circular, according to a Times of India report. The report quoting Jet Airways sources said that the private carrier is now in a big trouble as a small funding may not help it live long enough to wait for the bigger infusion that is required. 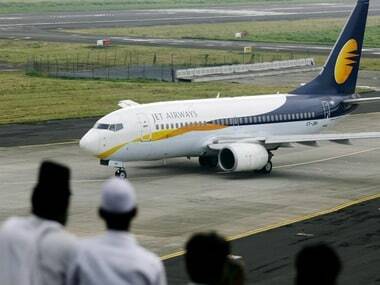 Meanwhile, the state-run SBI on Monday invited bids for stake sale in ailing Jet Airways. SBI is looking for "change in control and management" of the carrier, according to a public notice, said a PTI report. SBI Capital Markets would be assisting and advising the lenders on the bid process. The bids have to be submitted by 10 April. Under the debt resolution plan approved by the Jet Airways' board on 25 March, lenders have taken a majority stake in the airline and are set to infuse Rs 1,500 crore. Besides, the carrier's founder and promoter Naresh Goyal as well as his wife Anita quit the board. The shareholding of Goyals has come down to 25 percent from 51 percent earlier.